There's an enormous amount of research suggesting that emotional intelligence (EQ) is critical to your performance at work. TalentSmart has tested the EQ of more than a million people and found that it explains 58% of success in all types of jobs. But there's a catch. 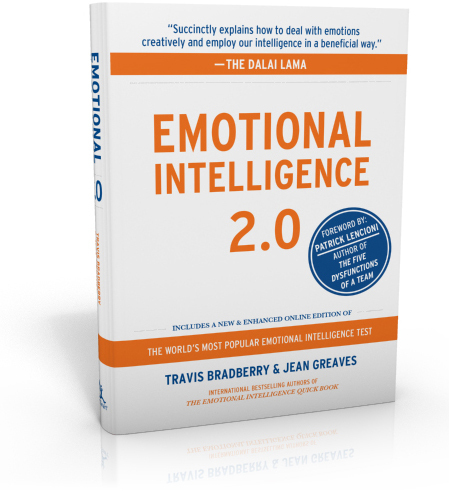 Emotional intelligence won't do a thing for you if you aren't genuine. A recent study from the Foster School of Business at the University of Washington found that people don't accept demonstrations of emotional intelligence at face value. They're too skeptical for that. They don't just want to see signs of emotional intelligence. They want to know that it's genuine—that your emotions are authentic. "They are not just mindless automatons. They think about the emotions they see and care whether they are sincere or manipulative." It's not enough to just go through the motions, trying to demonstrate qualities that are associated with emotional intelligence. You have to be genuine. Genuine people don't try to make people like them. Genuine people are who they are. They know that some people will like them, and some won't. And they're okay with that. It's not that they don't care whether or not other people will like them but simply that they're not going to let that get in the way of doing the right thing. They're willing to make unpopular decisions and to take unpopular positions if that's what needs to be done. Since genuine people aren't desperate for attention, they don't try to show off. They know that when they speak in a friendly, confident, and concise manner, people are much more attentive to and interested in what they have to say than if they try to show that they're important. People catch on to your attitude quickly and are more attracted to the right attitude than what or how many people you know. They don't pass judgment. Genuine people are open-minded, which makes them approachable and interesting to others. No one wants to have a conversation with someone who has already formed an opinion and is not willing to listen. Having an open mind is crucial in the workplace, as approachability means access to new ideas and help. To eliminate preconceived notions and judgment, you need to see the world through other people's eyes. This doesn't require you to believe what they believe or condone their behavior; it simply means you quit passing judgment long enough to truly understand what makes them tick. Only then can you let them be who they are. They forge their own paths. Genuine people don't derive their sense of pleasure and satisfaction from the opinions of others. This frees them up to follow their own internal compasses. They know who they are and don't pretend to be anything else. Their direction comes from within, from their own principles and values. They do what they believe to be the right thing, and they're not swayed by the fact that somebody might not like it. They are generous. We've all worked with people who constantly hold something back, whether it's knowledge or resources. They act as if they're afraid you'll outshine them if they give you access to everything you need to do your job. Genuine people are unfailingly generous with whom they know, what they know, and the resources they have access to. They want you to do well more than anything else because they're team players and they're confident enough to never worry that your success might make them look bad. In fact, they believe that your success is their success. They treat EVERYONE with respect. Whether interacting with their biggest clients or servers taking their drink orders, genuine people are unfailingly polite and respectful. They understand that no matter how nice they are to the people they have lunch with, it's all for naught if those people witnesses them behaving badly toward others. Genuine people treat everyone with respect because they believe they're no better than anyone else. They aren't motivated by material things. Genuine people don't need shiny, fancy stuff in order to feel good. It's not that they think it's wrong to go out and buy the latest and greatest items to show off their status; they just don't need to do this to be happy. Their happiness comes from within, as well as from the simpler pleasures—such as friends, family, and a sense of purpose—that make life rich. They are trustworthy. People gravitate toward those who are genuine because they know they can trust them. It is difficult to like someone when you don't know who they really are and how they really feel. Genuine people mean what they say, and if they make a commitment, they keep it. You'll never hear a truly genuine person say, "Oh, I just said that to make the meeting end faster." You know that if they say something, it's because they believe it to be true. They are thick-skinned. Genuine people have a strong enough sense of self that they don't go around seeing offense that isn't there. If somebody criticizes one of their ideas, they don't treat this as a personal attack. There's no need for them to jump to conclusions, feel insulted, and start plotting their revenge. They're able to objectively evaluate negative and constructive feedback, accept what works, put it into practice, and leave the rest of it behind without developing hard feelings. They put away their phones. Nothing turns someone off to you like a mid-conversation text message or even a quick glance at your phone. When genuine people commit to a conversation, they focus all of their energy on the conversation. You will find that conversations are more enjoyable and effective when you immerse yourself in them. When you robotically approach people with small talk and are tethered to your phone, this puts their brains on autopilot and prevents them from having any real affinity for you. Genuine people create connection and find depth even in short, everyday conversations. Their genuine interest in other people makes it easy for them to ask good questions and relate what they're told to other important facets of the speaker's life. They aren't driven by ego. Genuine people don't make decisions based on their egos because they don't need the admiration of others in order to feel good about themselves. Likewise, they don't seek the limelight or try to take credit for other people's accomplishments. They simply do what needs to be done without saying, "Hey, look at me!" They aren't hypocrites. Genuine people practice what they preach. They don't tell you to do one thing and then do the opposite themselves. That's largely due to their self-awareness. Many hypocrites don't even recognize their mistakes. They're blind to their own weaknesses. Genuine people, on the other hand, fix their own problems first. They don't brag. We've all worked with people who can't stop talking about themselves and their accomplishments. Have you ever wondered why? They boast and brag because they're insecure and worried that if they don't point out their accomplishments, no one will notice. Genuine people don't need to brag. They're confident in their accomplishments, but they also realize that when you truly do something that matters, it stands on its own merits, regardless of how many people notice or appreciate it. Genuine people know who they are. They are confident enough to be comfortable in their own skin. They are firmly grounded in reality, and they're truly present in each moment because they're not trying to figure out someone else's agenda or worrying about their own. What other qualities do you see in genuine people? Please share your thoughts in the comments section below as I learn just as much from you as you do from me.